WASHINGTON (AP) — Former FBI Director James Comey scorned the memo that was released by House Republicans after being declassified Friday by President Donald Trump, saying it doesn’t add up to much. “That’s it?” Comey said on Twitter. “All should appreciate the FBI speaking up. I wish more of our leaders would,” Comey tweeted Thursday night amid news that the FBI had lobbied the White House to block the release of a partisan memo on the Russia investigation. Trump and congressional Republicans have been attacking the FBI for its investigation of potential ties between Russia and Trump’s 2016 campaign. Trump and Republicans on the House intelligence committee followed up on those attacks through the publication Friday of a GOP-authored memo that they say shows improper use of surveillance by the FBI in the initial stages of the investigation. The FBI, Justice Department and Democrats furiously lobbied Trump to stop the release, saying it could harm national security and mislead the public. He concluded, “Not a lot of schools or streets named for Joe McCarthy” — a reference to the senator who, in the 1950s, conducted hearings aimed at rooting out Communists in the U.S. government. Since his firing last May, Comey has made his personal feelings about Trump known, testifying in detail about personal interactions he says troubled him. He also authorized a close friend to share with reporters details from a memo he produced documenting one such encounter — a February conversation in the Oval Office in which he said Trump encouraged him to drop an FBI investigation into former national security adviser Michael Flynn. That revelation prompted the Justice Department’s appointment of a special counsel to run the Russia investigation. 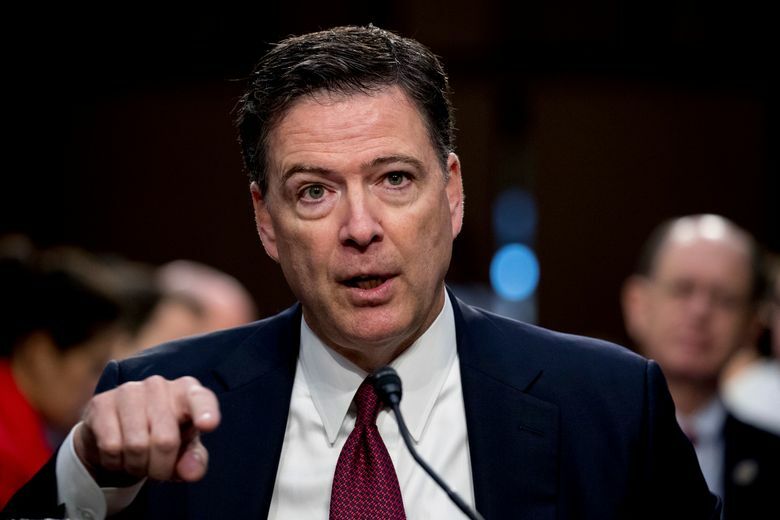 Comey has also used language about “weasels” before, most notably in a September 2016 congressional hearing when he defended the FBI’s handling of the Hillary Clinton email investigation.